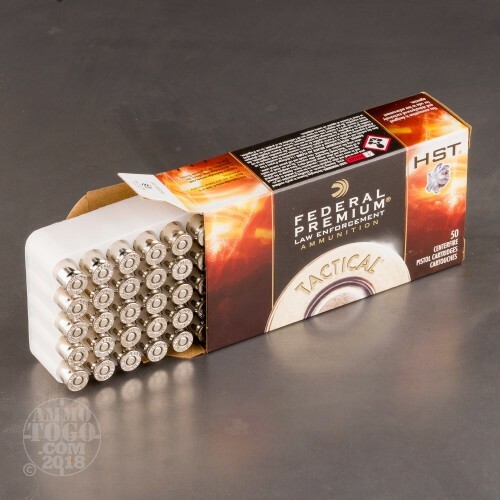 Federal HST ammunition was designed to meet the self-defense needs of law enforcement; it is now available to all gun owners and excels as a carry load. 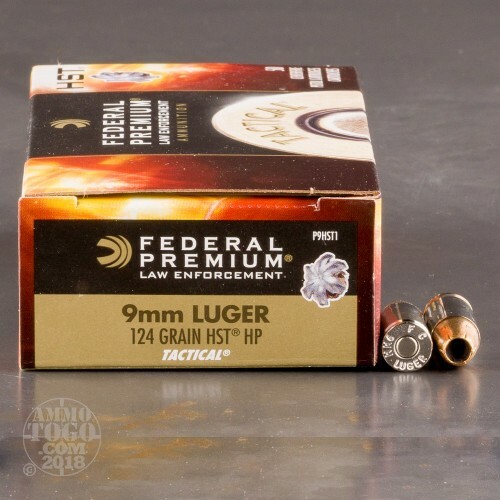 Each cartridge in this 1,000 round case fires a medium weight 124 grain jacketed hollow point bullet that delivers balanced penetration and expansion as well as moderate recoil. 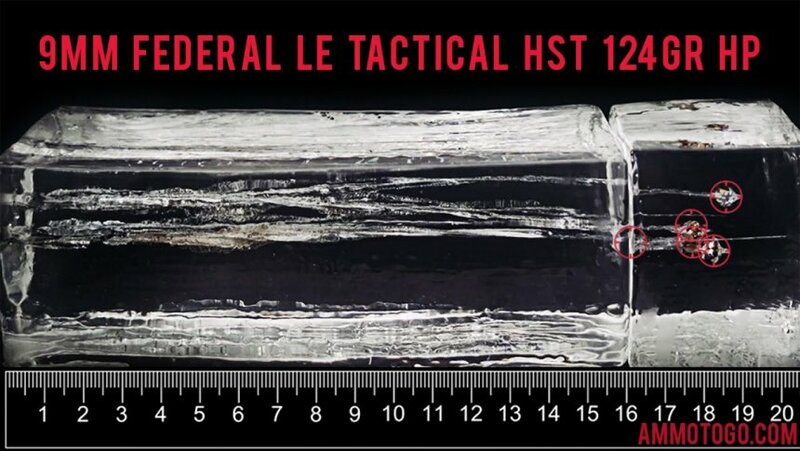 The HST projectile features a skived tip bullet that expands outward into six petals to quickly stop an attacker. 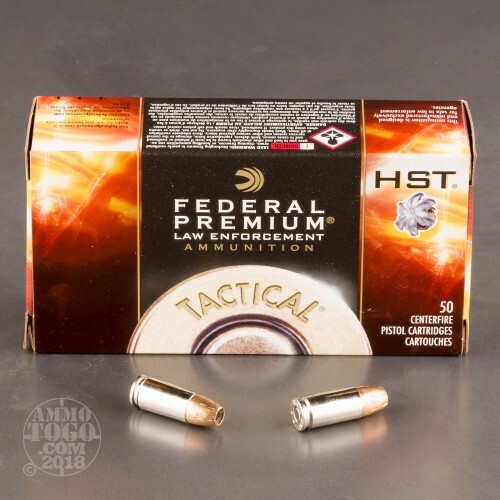 HST ammo is loaded in Anoka, Minnesota and uses non-corrosive Boxer primers and nickel-plated brass cases. 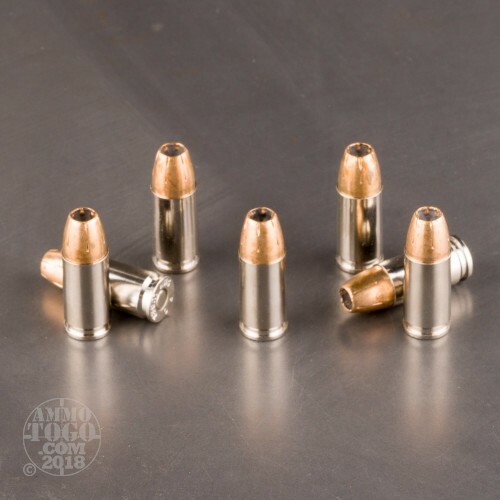 Expansion Diameter Compared to All 9mm Luger (9x19) Ammo Tested MIN 0.32" MEDIAN 0.50" THIS AMMO 0.62" U.S. dime MAX 0.90"
Penetration Depth Compared to 9mm Luger (9x19) Tested 0" 10" 20" 30" MIN 5.6" MEDIAN 17.7" THIS AMMO 18.5" MAX 47.5"